DS0 mapping with DCB's award-winning MAP41 graphical mapping software! 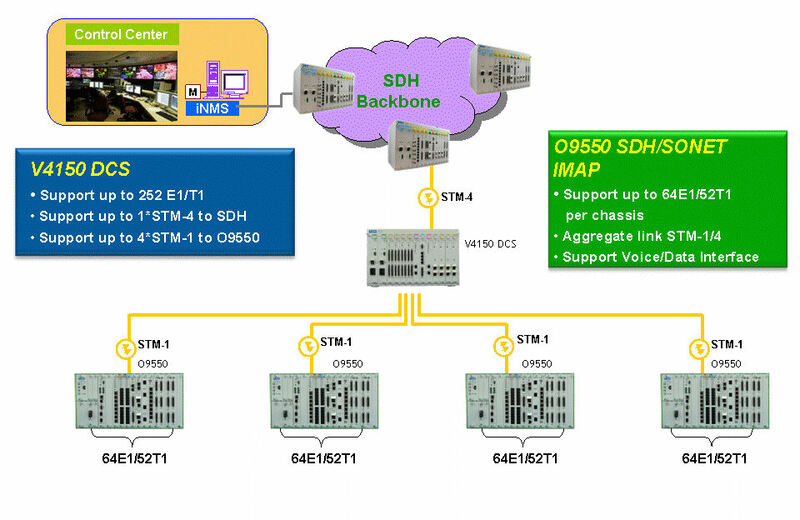 With system capacity support up to 1008E1/1344T1 DS0 non-blocking cross connect matrix, the V4150 DS0 Cross Connect System can offer high density capacity up to 504E1/T1, 4 STM-4(OC-12), or 16 STM-1(OC-3). The V4150-DCS offers the service provider protection schemes including 1+1, 1:1 and 1:N protection for tributary cards. Maintenance and Provisioning (OAM&P) functionality, including fault management, performance monitoring, configuration management, and network security management. 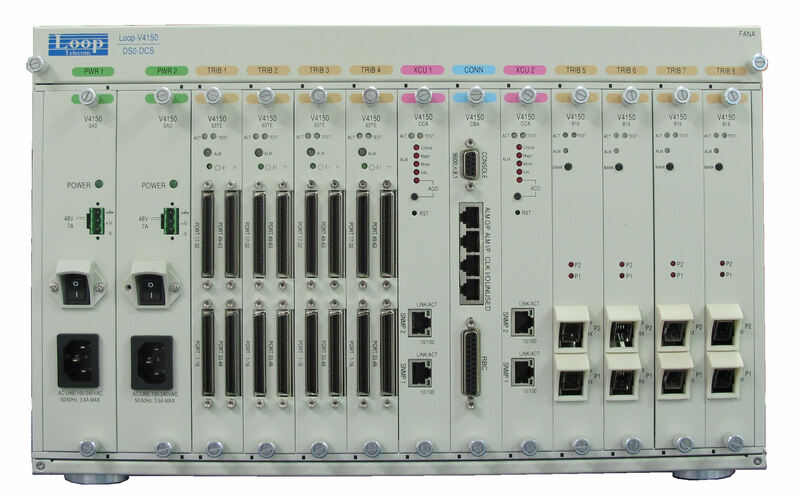 Through console port, LAN port, In-band E1, the OAM&P can be achieved both locally and remotely via SNMP or menu-driven interfaces. For detailed information and ordering specifics on the many interface cards available for this product, please click here to download the 10 page printable data sheet. Alarm Queue Contains up to 300 alarm records of latest alarm types, alarm severity, date and time.